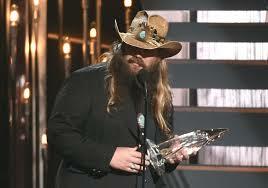 There is no one hotter in country music today than Chris Stapleton. He’s dominating iTunes, consistently topping album sales charts, giving performances on some of the biggest outlets out there, and has a single that just broke the top 10 at country radio with “Nobody to Blame.” None of this would have been even conceivable without the effect of the Country Music Association Awards, and because of them, country music may be heading in a whole new direction. Despite many claiming these shows can be “irrelevant,” the impact they’ve had on country music recently cannot be denied. Back in November, Stapleton beat out the likes of Luke Bryan, Blake Shelton, and Sam Hunt on his way to winning Male Vocalist of the Year, New Artist of the Year, and Album of the Year (for Traveller). His nomination was exciting enough for fans of the veteran singer-songwriter, but the wins were on a whole new level. It started a movement that may be putting country music back into the wheelhouse of traditionally styled, substantial music. It sparked the rise of Stapleton, and it hasn’t slowed down since. Not long after, the Grammy’s jumped in on the fun. While Traveller was a near lock for a Country Album of the Year nod before he blew up, the nominations in the Country Solo Performance and Song of the Year for the album’s title track were likely a result of recent exposure, as was his entry into the overall Album of the Year category. To top it all off, Stapleton was able to take home the prize for top Solo Performance, beating out high profile artists including Grammy favorites Keith Urban (“John Cougar, John Deere, John 3:16”) and Carrie Underwood (“Little Toy Guns”). Meanwhile, Little Big Town represented the genre in Song of the Year, as the poignant and intricate “Girl Crush” was up for one of the night’s biggest awards. In the Americana category at this year’s Grammy awards, it was nice to see Jason Isbell be awarded for his brilliant work in the past year, with Something More Than Free winning best Americana album, and “24 Frames” winning Best Americana Roots Song. While not quite as profound as 2013’s Southeastern, which was robbed of even a nomination in the category, Something More Than Free still offers some, if not the best of songwriting in modern music country and roots music, and is a more than worthy recipient of the award. What this win signals is further announcement of Jason Isbell into the mainstream world. Who was once a relative unknown is now on the verge of prominence between his two Grammy victories and #1 placement on the country albums chart earlier in the year, and it could pay dividends with an apparent push towards substance in the mainstream. On top of all that, the recently announced Academy of Country Music Award nominations were just as Stapleton heavy, and featured some pleasant surprises. Shelton, Bryan and Hunt were all shut out of the Male Vocalist of the Year category in favor of Stapleton and Dierks Bentley, while Stapleton also picked up nods in the New Male Vocalist, Song of the Year (“Nobody to Blame”), Vocal Event (“Hangover Tonight”) and Album of the Year categories. Additionally, traditionally styled duo Joey + Rory were recognized in Duo of the Year, Cam’s stripped down “Burning House” was nominated for both Single and Song of the Year, while Eric Paslay’s stunning “She Don’t Love You” is also up for Song. So what does this all mean for the genre, and how is it already impacting the industry? 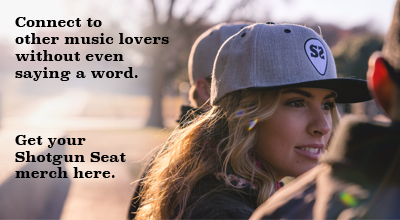 It tackles the popular R&B/soul trend head on. The only way derail the heavily pop movement that dominated the latter half of 2015 into 2016 is with a surge in traditional country on mainstream radio. That is exactly what’s going on now, largely due to these awards show which, despite the grief they take from some major media outlets, have been seemingly pushing an agenda geared towards promoting more traditionally toned country. Because of this new trend, we’ve started to see an influx of thoughtful new singles going up the airplay charts. Maren Morris’ “My Church,” an anthemic, well-written tune that pushes the envelope, was selected as iHeartRadio’s ‘On the Verge’ artist recently, Tim McGraw’s “Humble and Kind” is tearing up radio and retail, Cam’s “Mayday” is off to an excellent start, and Brandy Clark’s “Girl Next Door” is close to cracking the top 40. Why is this? Likely because of Stapleton-mania, which was started by what? Awards shows. The claims that these award shows are irrelevant is untrue. Sure, recent years have yielded perhaps as many misses as hits, but there is no doubt that they have reach. These shows do have an impact on the buying and listening habits of the general public. They’re hardly perfect, but these shows can change the industry. They are the reason for country music’s current trajectory, and their importance cannot go unnoticed.